As most football fans are able to get on with their "game of two halves", we fans that enjoy watching our football at Ibrox are still embroiled in one of the most notable boardroom battles in the club's history. It has gotten to the point that as a supporter of Rangers, I pine for the day when the most important debate becomes "4-4-2 or 4-5-1?". Instead, in the never-ending boardroom arguments, there is rarely time for this discussion to take a prominent place. Although the discussion is different, clichés most certainly still remain; "let's wait until the accounts are released" and "we should let the board get on with their job". In recent times, the above have become the official lines amongst many - the general idea is that we should all take a step back and let the norm continue. After all, why would the board do us wrong? Why would these individuals dare to affect the club lifelong supporters hold so dearly? There are a few very simple answers as to why those two familiar lines are simply doing us no good. 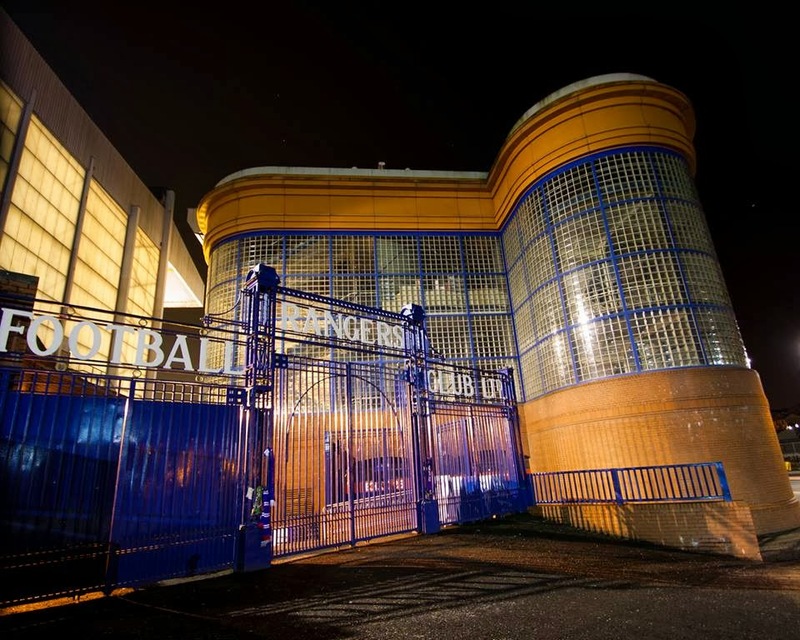 "Wait until accounts are published" - Although no fan knows the details that will be included in the soon-to-be published accounts (any day now...), at the recent fan meeting at Ibrox, Financial Director, Brian Stockbridge, gave us an outline of what to expect. On the very basis that he "believes" that there is approximately £10 million left in the bank, can that possibly give any hope to fans looking for reassurance? This is the same board that have torn through an astonishingly high eight figure sum of money in the last 12 months - how can we possibly believe that this amount of money will last? It is also crucial to remember that this figure came from the same Stockbridge that told fans to their faces that he didn't know how much of the IPO money remained, but when it came to a cosy interview with The Sun, he was finally willing to lay bare the fact that not a single penny of the £22 million raised less than 12 months ago remains. The same Stockbridge that laughed his way to the bank after cashing in on his 100% bonus for Rangers winning the Third Division against part-timers. Is it really necessary to wait until accounts are published? Even behind the spin and avoidance of this current board, it doesn't take an expert to work out that these figures do not match up. Sure, a view of audited accounts will give a certain amount of confirmation, but unless an investor has recently ploughed a large sum of cash into the club without the boards' poodles letting fans know, the accounts will not be looking attractive at best – dire at worst. Search back within recent memory - can you name one isolated incident that shows that these are the right people to sort the issue out? There's also the idea that we should "let the board get on with their job". These people have been given the jobs for a reason - who are we to question what they do? For a start, the board have played fast and loose with the truth in previous times – for example, James Easdale was appointed to the board as media outlets reported that he personally held a shareholding of 6%, when in reality; he held approximately 0.5%, making the appointment somewhat baffling. Then there's the reappointment of Media House to deal with PR issues within the club - the same name that became toxic with fans due to their part in the cover-up of Craig Whyte's pillage of Rangers. The same Media House, of which employee, Jack Irvine, supposedly called "Greatest Ever Ranger", John Greig, 'thick'. That being the incident that CEO Craig Mather promised to act upon, but over three weeks later, it would appear evident that this has not happened. It is another incident that shows the complete lack of respect that is being shown to fans by the board which was also shown in bringing back Media House. It begs the question - are these spin doctors really there to protect the interests of the club or to safeguard the interests of individuals? Let's also not forget that this is the same board that voted against Chairman, Walter Smith, to allow Charles Green to return to the club as a "consultant". The move forced Smith into a position where he felt he had to quit and in his statement, said he felt the board were "dysfunctional", and urged fans to back change. If the board were to be commended by many for one reason, it would be their promise to tackle BBC Scotland on their constant mis-reporting and antagonising statements. However, that positive is clouded by the fact that some breaking stories are still making their way from the boardroom into the hands of BBC journalists. In the upcoming weeks, the AGM will be held. What is left inside Ibrox will be laid bare for all to see, and the board members will finally be up for judgement. If you believe you can decipher why they've earned our time, then by all means – continue to back the current regime. Or, if like me, you have sat for months on end in awe of how these men still remain in jobs, I would urge fans to take full advantage of the AGM. It is easy for fans to say "Our vote means nothing". If the split between investors is as close as both factions make out, this couldn't be further from the case. With approximately 12% of the club owned by fans, it is time fans started to make their voices heard. There may not be a better time.